Head of Iran’s Bodybuilding Federation announced that women bodybuilders and their four male coaches who arranged for them to participate in international competitions have been suspended. The federation adds that it will adhere to the ruling of the court in this matter. Mizan Khabar the official website of Iranian judiciary reported last week that a number of what it referred to as “half-naked female Iranian pseudo-athletes” have been summoned to court. Reports indicate that Nasser Pouralifard, head of the Bodybuilding Federation has been summoned by the judiciary regarding the participation of an Iranian female bodybuilder in an international competition and the posting of photos of the event in social media. Pouralifard announced that the federation was not aware of the Iranian female bodybuilder’s participation in the competition and the four coaches linked to the incident have now been suspended. He added that the federation has stressed on several occasions that it does not get involved in training of female bodybuilders because the activity is at odds with the values of the Islamic Republic and the “dignity of women”. He went on to add that if therefore we see evidence of this activity on social media, we will report it to the judiciary. The federation reportedly will abide by court rulings and then further go on to impose its own disciplinary regulations. 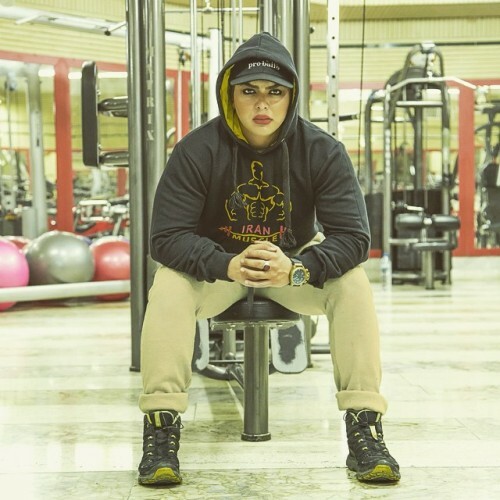 Despite lack of acceptance for female bodybuilding activities, there are a number of Iranian women who have been involved in bodybuilding for years. After the news of the arrest and prosecution of women bodybuilders in Iran and their coaches, Sharvand daily published an interview with a number of these athletes. According to the Shahrvand report, 38 year old Samira, who has been bodybuilding for over 18 years and is a coach in one of Tehran’s downtown gyms, got herself in trouble five years ago when she was trying to enter a world fitness competition. Samira reports that five years ago, after serious training and dieting, she and another five female athletes were ready to join a fitness competition which was taking place in Dubai. She adds however that their plans were scrapped when the Islamic republic security officials discovered their plan and confiscated their passports. They were also reportedly slapped with monetary fines. Samira adds that they did not realize at the time that the registration system they had entered the competition through domestic sources inside the country. Samira who now only concentrates on coaching adds that Iranian women who have chosen to participate in international competitions can no longer return to the country. She adds that Iran’s Federation of Bodybuilding should organize domestic competitions so that women who are interested in this discipline will at least have a possibility to compete in provincial and national events. Neda another female bodybuilder who is engaged in intense training in preparation for a fitness and bodybuilding competition in the United States tells Shahrvand that there is no place for women’s bodybuilding or even physical fitness in Iran. She adds that there are excellent facilities for fitness and bodybuilding but they are only provided for men. The problem of bodybuilding for women in Iran is linked to the issue of hijab and the Islamic Republic enforcement of women’s Islamic dress code in all venues of life. Therefore, women cannot basically participate in any kind of sports discipline that would require that they shed their hijab.